There isn't an easier way to add a splash of color, and a bit of fun to your home than with throw pillows! And they are a great way to quickly update the look of a room without blowing your budget either. 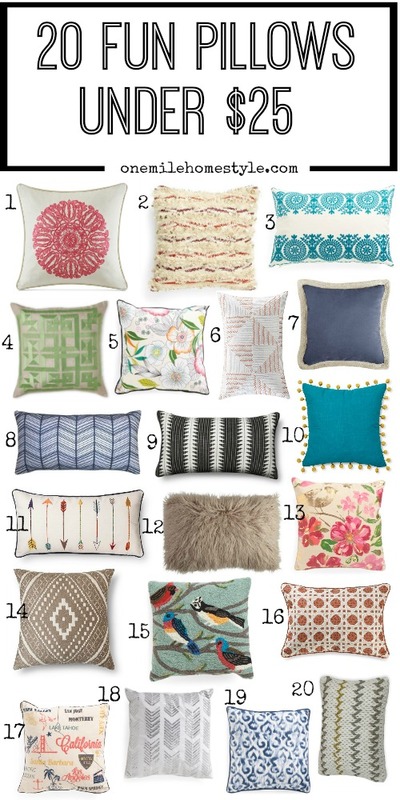 I have rounded up 20 pillows for under $25 that are sure to add at that perfect finishing touch, no matter your decor style! There is definitely something for everyone on this list! I have numbers 9 and 15 on my shopping list, which ones are your favorites? Swoon!! How do you find all of these!? Numbers 5, 10, 11, and 13 are calling my name!